at fairs and festivals large and small, nationally and internationally. 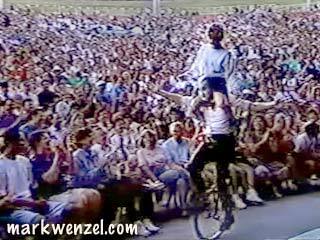 "One of California's Greatest Interactive Entertainers..."
Riding his unicycle and roving through the grounds, Mark's unique style of guest interaction reaches the widest audience. 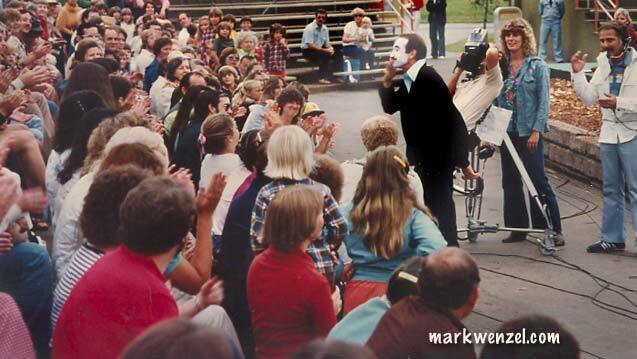 If there's a waiting line or a crowd on a corner, the show begins. 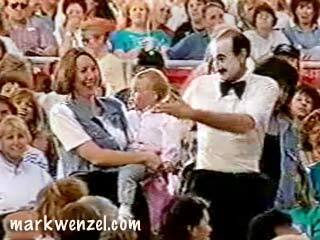 Mark's grandstand warm-up is ideal for headline attractions. 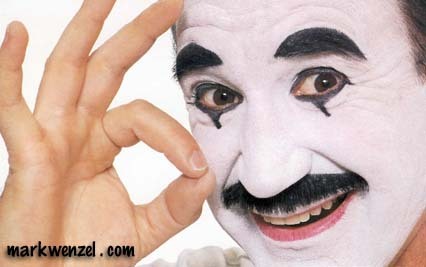 His work is family-friendly, his comic antics create laughter wherever he performs. 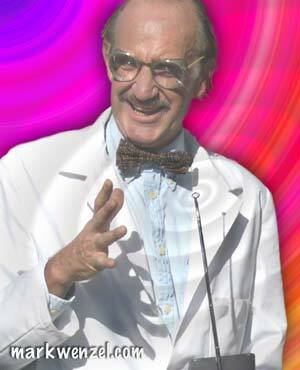 "For over twenty years, you have brought laughter to our fair audience. 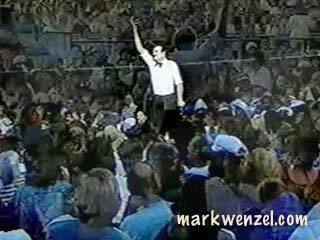 No other act has been as successful in consistently entertaining our crowds." 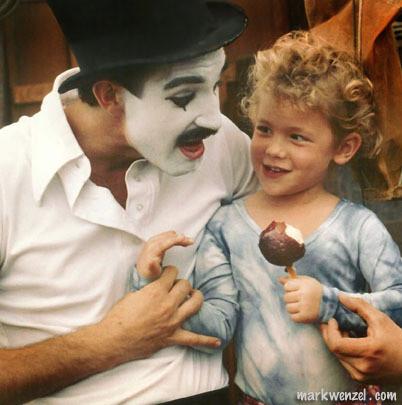 "His act was wonderful, quick-witted, endearing and spontaneous. 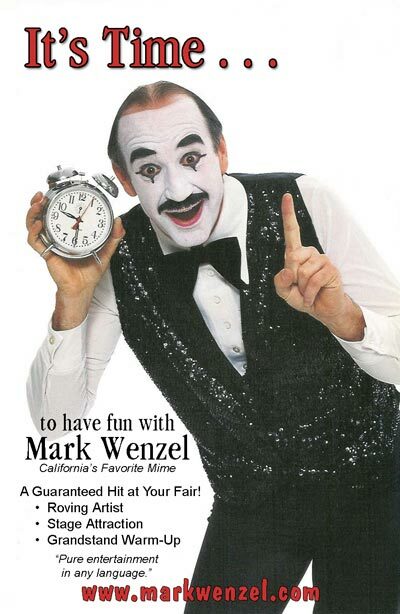 Mark Wenzel was one of our highest quality and most popular entertainers." 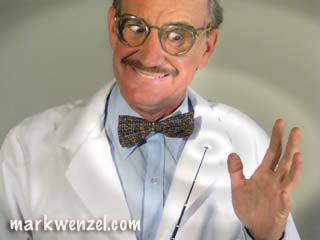 "We can only speak of Mark Wenzel's appearances in superlatives." 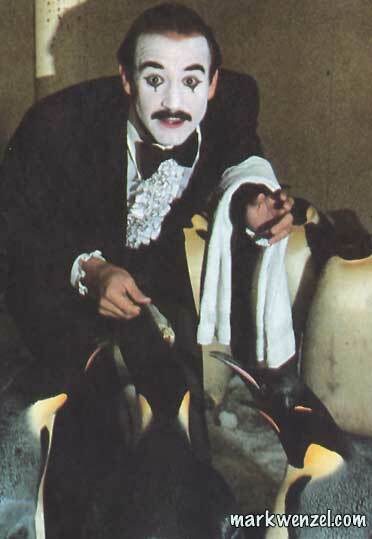 "Your ability to captivate and entertain a large audience (always at least 7,000) to the point that they demanded you continue, was real proof of your superb talent." 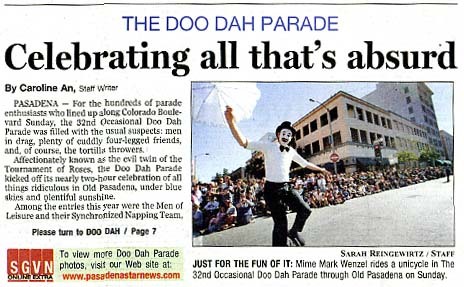 "Nine thousand people erupted in laughter ... the Events Coordinator already wants this mime back next year." 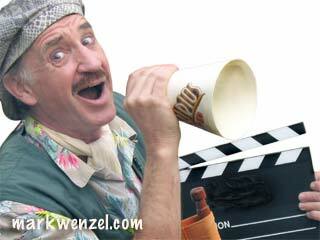 "Seldom have I had the opportunity to work with such a professional and accomplished performer. 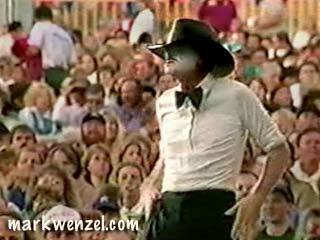 I do not know of any other entertainer who could have reached and charmed so many people." 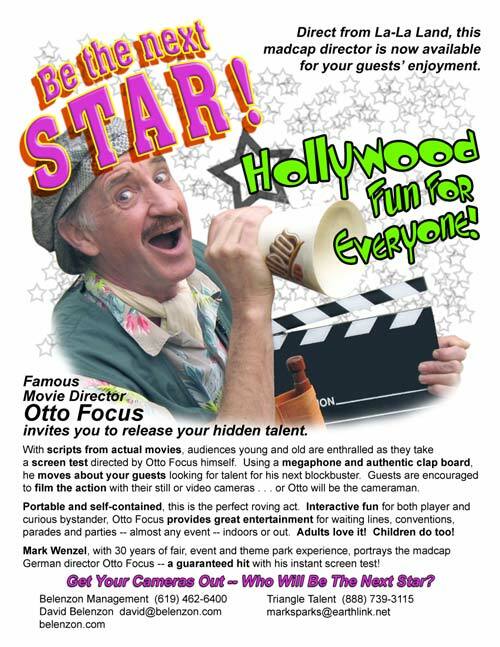 The famous Hollywood director is looking for his next Big Star! 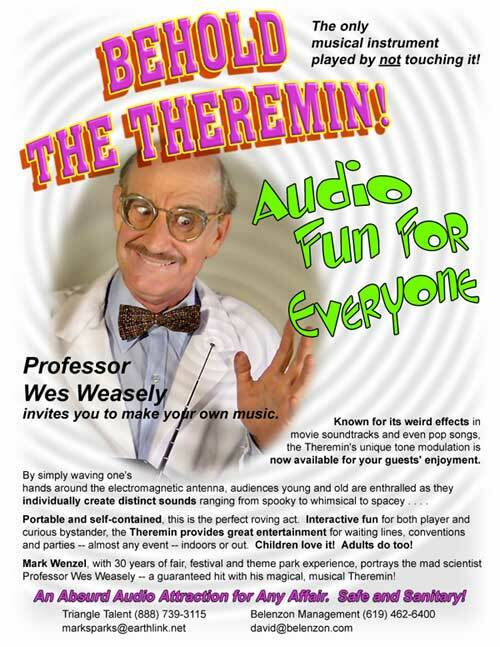 Prof. Weasely wants everyone in the world to play the Theremin! 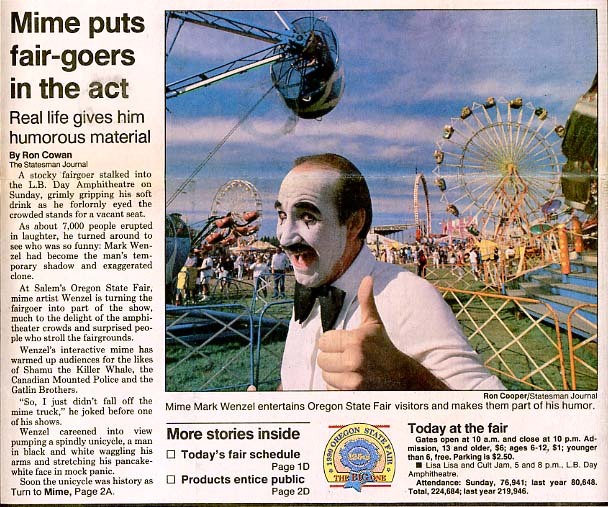 "One of the state's best shows." 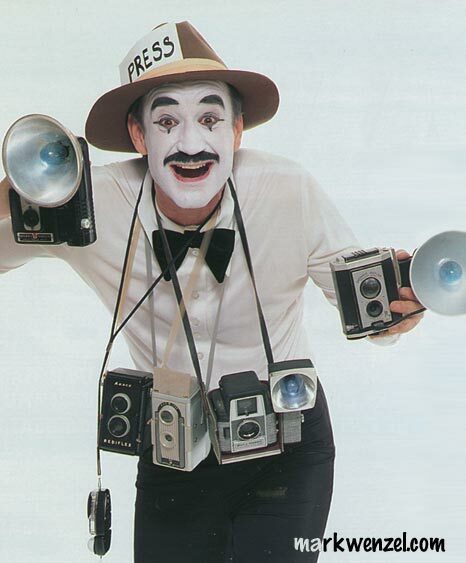 "One-man theater on the move . 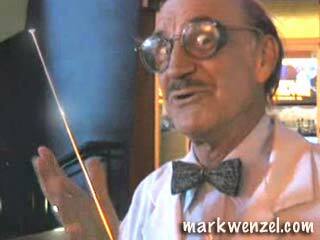 . . does the sort of things a 6-year old would get spanked for." 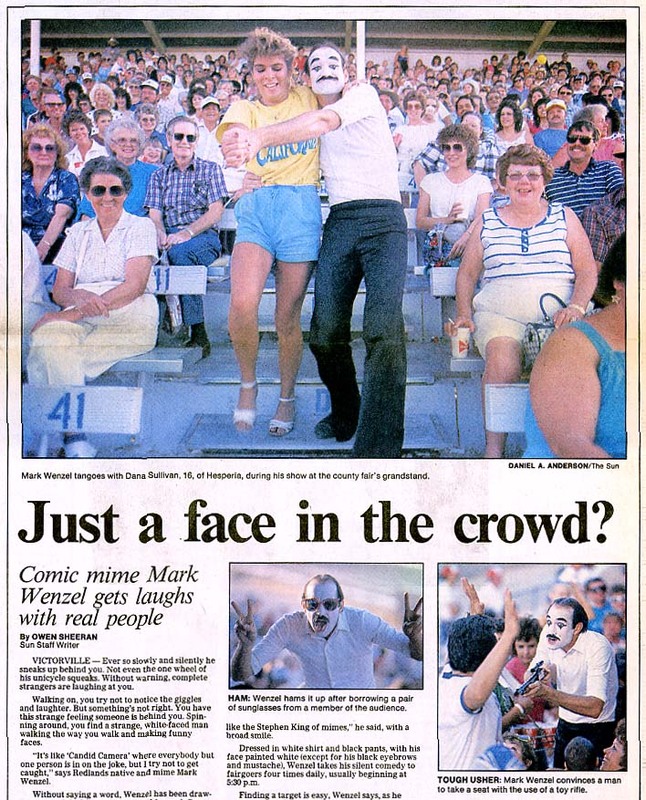 "Number One mime in America." 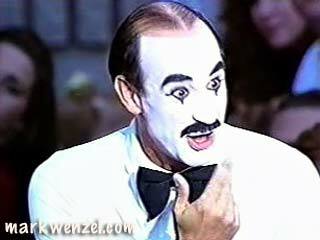 "He zips around on his unicycle spreading humor, sarcasm and wit; and it's all done without words." 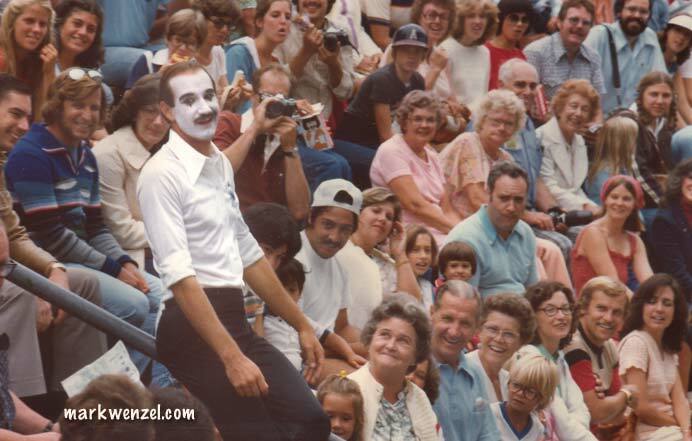 "One of the great secrets of the Disneyland Resort"
"The crowds are bemused and delighted by Mark Wenzel's antics." The Magic Castle . . . 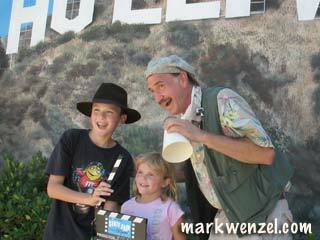 There's never a dull moment with Mark Wenzel! Last Chance to See the Videos! 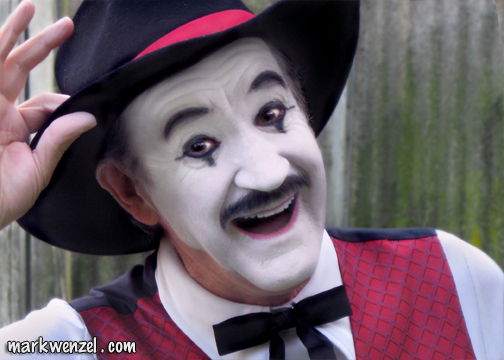 Walk-around characters that make fairs come to life!